Seas’, the band was shortlisted in the Berwick Street Calling competition. Following this and a successful UK tour, the band returned to Brighton to finish the recording of their next single and debut EP. 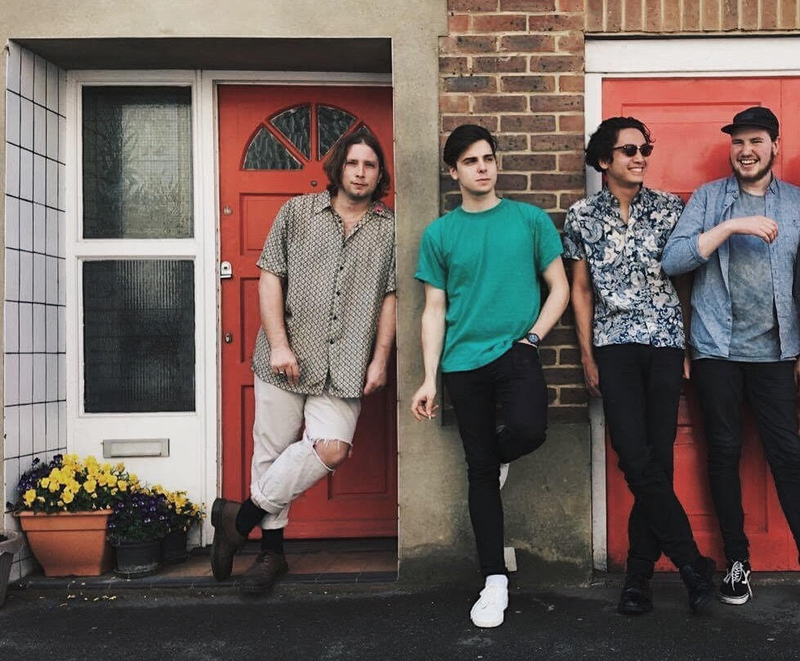 Champions of a sound that dabbles between indie-pop and post-rock, the band is now set to release ‘Feel’, produced and mixed by David Alexander, the creative force behind Summer Heart and guitarist of the band Fews. ‘Feel’ is their most fierce of works yet, building a wall of disco basslines and plucked guitar rhythms, reminiscing Foals, while assorting a lush background of synthesizer pads that creep influences of Tame Impala and POND. After a year of playing together, the band have seamlessly sunk into a flow of writing new material and are anticipating the recording of their debut EP. Through elaborating on the rudimentary influences that comprise the core of their sound, they have begun to craft fresh indie melodies which are supported by upbeat drums, powerful riffs and shimmering synthesisers. MØSS are playing their first headline show in Brighton on the 13th of July with support from Voodoo & The Crypts and Sweetmates. They are planning to finish the recording of the EP in the summer and are soon to announce an autumn tour.